I have lots of college students who read my blog. And now that they (you) have been deposited into dorm rooms and little apartments across the globe, armed with cans of SpaghettiOs, jars of peanut butter, boxes of Minute Rice and Top Ramen…it’s time to eat something else. You owe it to yourself. This is the perfect recipe for those of you with minimal kitchen supplies and are craving something that reminds you of home. However, I have to admit, this is also the perfect recipe for a busy Mom like myself who at 4 PM remembers she never took anything out of the freezer for dinner. Hopefully Mom and Dad sent you off with a set of Pyrex bakeware, like the one shown above. If you don’t have one of these 8 x 8, square, glass pans, you can pick one up at the grocery store or at Target for about $7 or $8 dollars. A good investment since you can make this again and again. 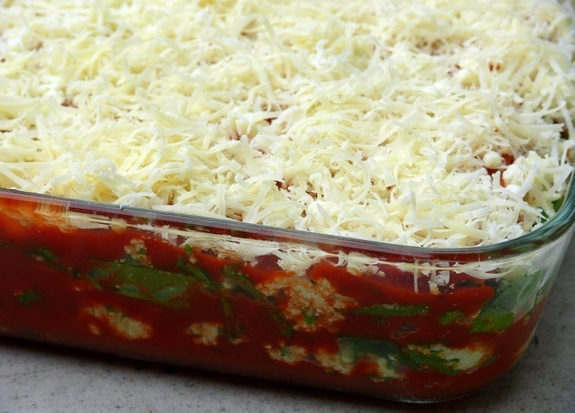 This lasagna also has a nice dose of veggies in the way of spinach, your Mom will like that. It’s really delicious! A great, quick meal to throw together after a hard day of classes or taking care of kids. 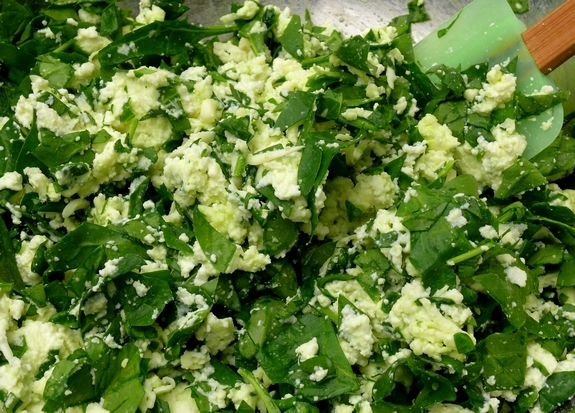 In a bowl, combine the ricotta, spinach, 1-1/2 cups of the mozzarella, 1/4 cup of the Parmesan and 1/4 teaspoon each salt and pepper. 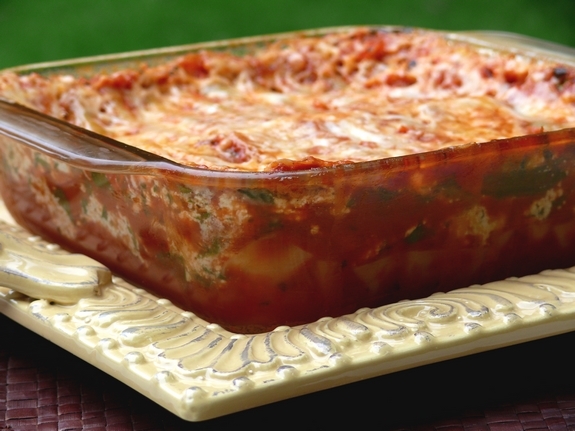 In the bottom of a microwave-safe 8″ square baking dish, spread 1/2 cup of the sauce. 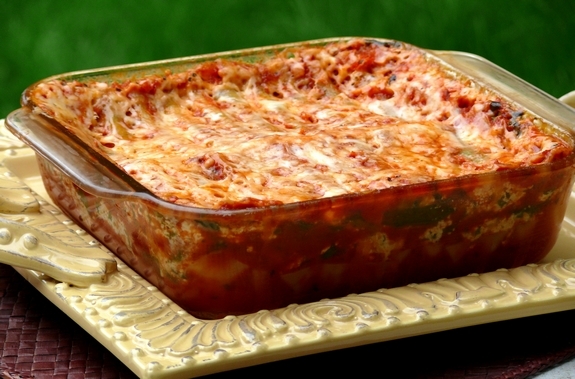 Top with 2 no-bake lasagna noodles, 1/2 cup of sauce and half the ricotta mixture; repeat. Top with the remaining 2 lasagna noodles, the remaining sauce, 1/2 cup remaining mozzarella and 2 Tablespoons grated Parmesan. Cover with wax or parchment paper, then place a plate on top on top of the wax paper . Place the dish on top of a couple paper towels in the microwave, in case you have any leaking (I did) and microwave on high power (power level 10) until the noodles are tender, about 12-20 minutes. Let stand 10 minutes before serving. Serve with a side salad and some some bread! Cook Bacon Sandwich 6 slices of bacon between 2 double layers of paper towels. Place on a microwave safe dish. Microwave on high until cooked through, 4 to 5 minutes. Steam Asparagus and Green Beans Place 1 pound of trimmed asparagus or green beans in a microwave-safe baking dish with 1 Tablespoon of water. Cover tightly and microwave on high until tender, 4 to 6 minutes. Uncover immediately. Bake a Potato Rub a potato with olive oil and place on a microwave safe plate. Microwave, uncovered on high until tender and easily pierced with a pairing knife, 12-14 minutes. Soften Brown Sugar Place sugar in a microwave safe bowl and sprinkle with 1 teaspoon water (regardless of the quantity of sugar). Cover and microwave on low power in 1-minute intervals, tossing in between, until soft, 4 to 5 minutes. Cook Rice In a microwave-safe baking dish or medium bowl, combine 1 cup of long-grain white rice, 2 cups water, and 1/2 teaspoon salt. Microwave, uncovered on high until the rice is tender and the liquid is absorbed, 15 to 18 minutes. Warm Maple Syrup Place syrup in a microwave-safe measuring cup. Microwave on high in 15-second intervals, checking in between. Make Polenta In a microwave-safe baking dish or large bowl, whisk together 3/4 cup cornmeal, 3 cups water and 1/2 teaspoon salt. Cover and microwave on high for 3 minutes. Stir, cover and microwave on high until thickened, 2 to 3 minutes more. Stir in one Tablespoon of unsalted butter. Warm Tortillas Wrap tortillas in a damp paper towel. Microwave on high for 40 seconds to 1 minute. Cook Corn on the Cob Place unshucked corn on a microwave-safe plate. Microwave on high for 6 minutes. Let stand 5 minutes. Carefully remove the husks and the silk. Steam Artichokes Place 2 trimmed artichokes in a deep microwave-safe baking dish with 1 Tablespoon of water. Cover and microwave on high until tender, 10 to 12 minutes. Poach Salmon Season pieces of skinless salmon fillet with salt and pepper and place in a shallow microwave-safe baking dish with 2 Tablespoons white wine vinegar or rice vinegar (to add flavor) and enough water to reach halfway up the fish. Cover and microwave on high until fish is opaque throughout, 3 to 4 minutes. If the fish is not fully cooked, microwave, covered on high in 45-second intervals. Remove from liquid and serve. Make Popcorn Place 1/2 cup popcorn kernels in a large microwave-safe bowl with 1 Tablespoon olive oil or canola oil. Cover with a microwave-safe plate and microwave on high power until the majority of the kernels have popped, 3 to 5 minutes. That looks so delicious. I can’t believe it was all made in a microwave. What a great time saver. College kids around the world will be praising this post!! Very simple and awesome! Thanks so much for these! I’m gonna have to try all of them! I love including spinach, Cathy! Delish! I’m all about making homemade microwave meals. 🙂 Thanks for this recipe, dear! Looks great! I have a microwaved scalloped potato recipe that is fantastic. I should share. I will make your lasagna, my 12 yo daughter would love it with the spinach! Who am I fooling, me too. I remember my freshman year in college — I had a little hot-plate and would boil fresh angel hair pasta, toss it with Newman’s Own Salad dressing and tuna fish. Eek! This sounds much better!!! I love this recipe. This will be great to use in my class. We can make it and eat the same day! well that’s kind of clever. never thought of that one. came out perfect too. Being from Australia, I’d like to clarify what no-boil lasagne sheets are. Do you just mean the fresh ones rather than dried? In America, they sell no-boil lasagna sheets which are dry pasta sheets.Â You place them right in the lasagna dry and the moisture from heating the lasagna makes them soft just as if you boiled them.Â Not sure if they sell those there. Looks delicious! 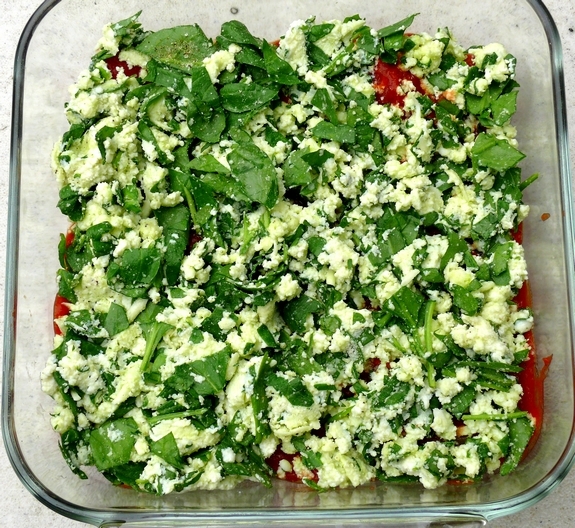 I never think of putting spinach in things like this, and I really should – will try next time! I don’t use my microwave much for things like this, but I rarely make things that don’t fit in my toaster oven anymore (lasagna, tenderloin, cookies) – cooks so much faster and easier in there and doesn’t heat up my whole kitchen. Will try it out! I might have to try this! I live the apartment life, myself, on a very low budget. Thanks for all the tips! Hey this recipe looks fantastic!! I am in college and your blog is such an inspiration! I have made your Kicked-up Tuna melts one of my regulars!! Just made this tonight for my husband and me. I mentioned that next time I’ll use garlic salt instead of regular, and he told me no, don’t change a thing! It was great and perfect for those busy work days. I can make it ahead of time and have him microwave it when he gets home. Thank you! Made this last night and it was delicious and really easy to make. I browned some ground beef and added it to the cheese/spinach mixture. Got rave reviews from my husband! Thank you so much for this post!! I’m a college student and I absolutely love this and it’s been feeding me all week and keeping me out of the Dining Hall! I’m not a huge spinach fan so instead I just used a little cilantro. But something else you can add is pre-cooked crumbled sausage! It just gave it a more like home feel!! Thanks so much for saving me from more school food! !